I was pretty sure I posted this a while back, but can't see any evidence of it. 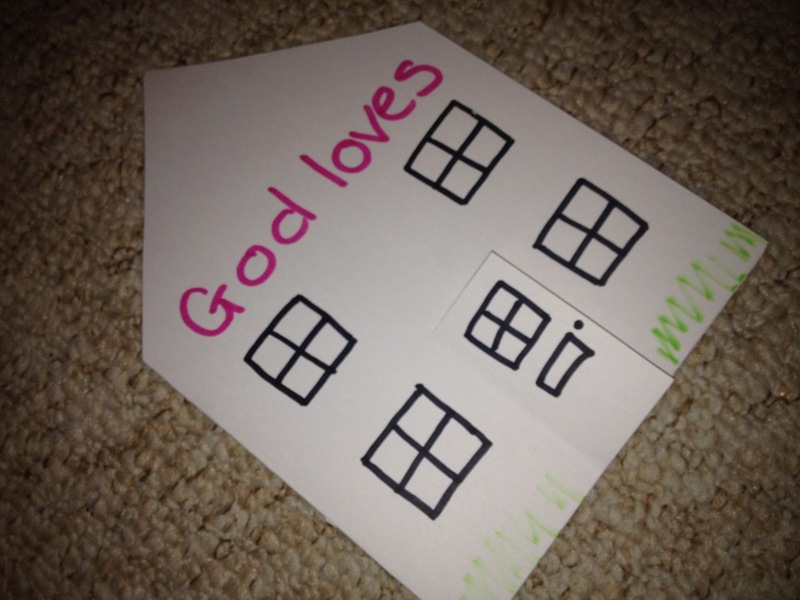 I can't even remember what bible passage we did this for but I simple made folded house shapes and said children could draw their family inside or whoever they though and decorate the house however they wished. I may or may not have shown them my example before, I can't remember. Either way there were defiantly no carbon copies of "the craft" which is always a relief! 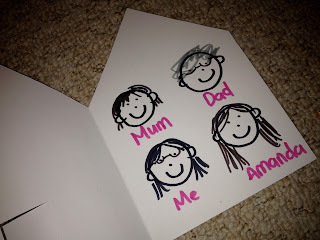 This was not a "God Loves" activity but would be lovely to do and is very simple we simple folded the paper and cut out a heart shape, then cut a heart out of that. When we had "enough" hearts they were just stuck to paper with one half, which makes an interesting picture. 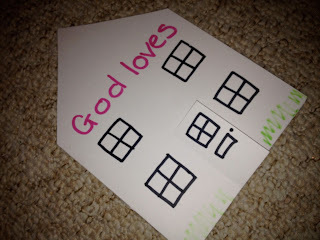 Would be good for older children if discussing "God shaped hole".